Combining two main ‘passions’ in my life – travelling and hunting out a bargain – have taken me to the four corners of the earth. Today I’ll be looking at how to make the most of the various BA Multi City tools to redeem an Avios around-the-world ticket. 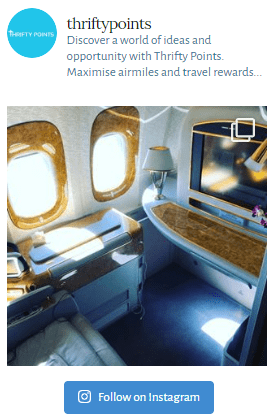 Unfortunately booking an Avios multi city trip isn’t quite as easy as it should be, however by the end of this article I hope to both equip you with the information you need and enable you to use some of those hard-earned Avios points. There are two ways in which you can book an Avios redemption to a number of different cities. If you’re booked onto an Avios BA multi city flight and miss one of your flights the remaining flights could be voided – a massive risk in my eyes! Secondly, you can only make changes to the flights up until 24 hours before the outbound flight. If your plans change halfway through your journey then there’s no way of changing the remaining flights. Finally, in some cases the taxes can actually be cheaper if booked as one-way redemptions. The second option of booking an Avios multi city flight is directly through the British Airways Executive Club. Frustratingly there’s no option to do this online so you’ll have to call BA to book a multi-destination redemption. Unfortunately booking via the phone comes with a £15 fee unless you’re a Gold member (in which case this fee is waived). 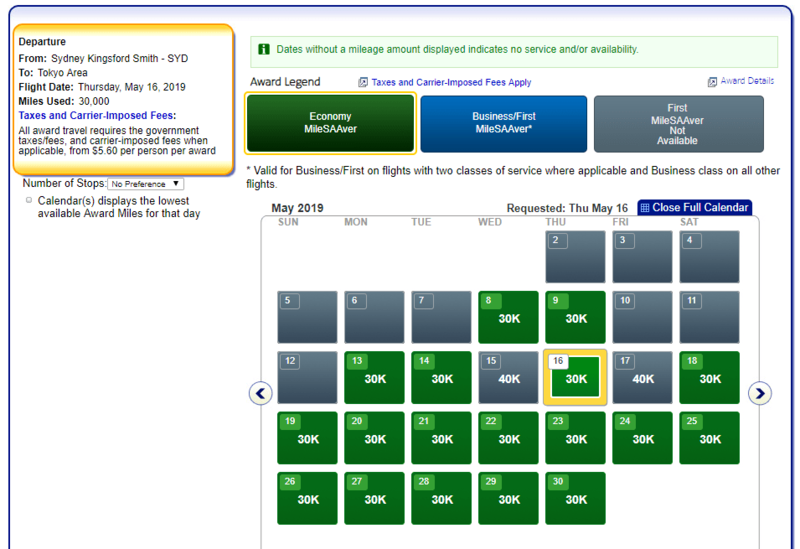 BA usually waive the fee for open-jaw BA 2-4-1 redemptions as it’s not possible to book these through the website, however I’ve never heard of the fee being waived for multi city Avios redemptions I’m afraid! Now if you’re planning an Avios around-the-world ticket, then there’s one more thing you should know. In some instances it’s possible to save a significant number of Avios points by choosing to redeem your Avios by flying with 2 or more BA partner (oneworld) airlines. In this instance you’ll benefit from the reduced multi-flight rewards chart which can be found on the BA website here. Read on for worked examples which show just how many Avios you could save as well as how many Avios you’ll need to fly around the world! We’ll start off by looking at a BA multi city redemption using the multi-carrier benefit and then compare against various one-way tickets. As British Airways doesn’t offer a multi-segment redemption finder, you’re going to have to plan your Avios around-the-world ticket by yourself but don’t worry we’re here to help! First things first, let’s study the Avios multi-carrier reward flight chart. Strangely you cannot redeem on a BA flight! Whilst this redemption option can offer significantly discounted fares it does prevent you flying on a British Airways plane. Let’s face it though if you’re flying around the world even on a cash ticket the only time you’d be able to fly on BA would be your first and last flights (unless you’re on a fifth freedom flight). In my eyes this isn’t a big deal and actually some of the oneworld partners offer significantly superior seat products. To plan your trip we’d suggest using the oneworld map found here. To initially search for availability we’d suggest using the American Airlines website which has a far better calendar to assist with finding reward flights. You can then plug the dates into the BA Book Avios page (found here) to book the flight. Note that the taxes and air miles will be different between the two platforms. If you hold your points as American Express Rewards points earned with the likes of the Amex Gold card (for which both BA and AA are transfer partners) you may want to think about transferring the points to the cheapest/lowest Avios option (assuming you’re booking various one-way flights). An example of the American Airlines search page for an economy flight between Sydney and Tokyo is shown below. Note only MileSAAver flights can be booked using Avios. Once you’ve pieced together your preferred trip and made sure there is reward availability, you’ll want to find out the combined distance in miles of the flight to work out just how many Avios the flight will set you back. I’d recommend using Great Circle Mapper (found here) to help measure the distance, plus it will give you a nifty map of all your flights – not sure why you’d want this unless you plan on inserting it into an article like me :). To make life easier we’ve planned a route below with a couple of comments as to why we’ve chosen certain routes or flights. As I’m based in London we’ll start here! (For those viewing on a mobile, you’ll need to turn your phone on its side otherwise you’ll be unable to view the table). London Heathrow to Dublin (British Airways) 280 miles 4,000 £17.50 Flying to Dublin first will reduce the taxes across the pond to the US significantly. You will however need to use additional air miles as this is a BA flight. 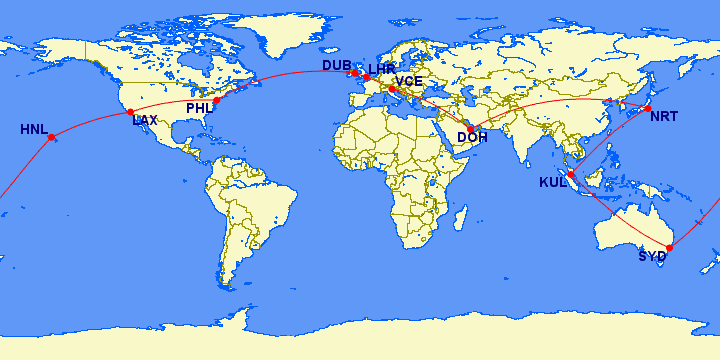 Dublin to Philadelphia (American Airlines) 3,272 miles 20,000 £115.40 These taxes compare to approx. £250 if you were to start in the UK. (American Airlines) 2,402 miles 12,500 £4.30 Internal flights within the United States have super-cheap taxes. Perhaps add another stop here if you don’t use up all 8 segments! Los Angeles to Honolulu (American Airlines) 2,556 miles 12,500 £4.30 With Hawaii also benefitting from a cap on US taxes it’s worth a visit! Venice to London Heathrow (British Airways) 717 miles 6,500 £17.50 This flight is with BA so cannot be used with multi carrier reward flights. If you were to book this BA multi city flight as various one-way tickets the all-in number of points would be 163,000 as well as £390.80 in taxes. You should note that taxes for a direct flight from London to Philadelphia would usually set you back £251.32, so this route represents reasonable value for the 29,404 miles flown! To work out whether a multi-carrier reward flight would provide good value, we need to deduct the first and last positioning flights from the total number of Avios and miles flown. This would result in 28,408 miles flown and 152,500 Avios required if booked as separate one-way tickets. 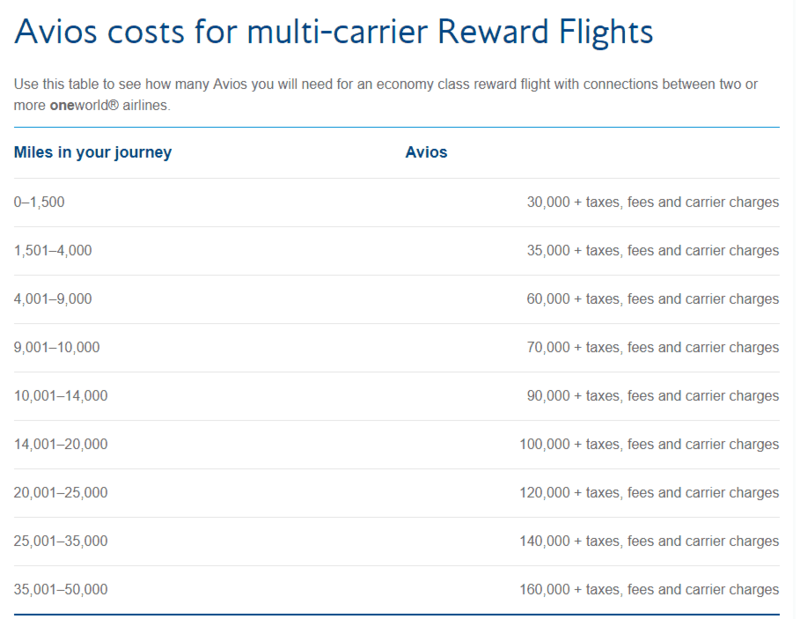 Using the multi-flight reward table, found here, we can see that for a flight totalling between 25,000 – 35,000 miles flown, the total number of Avios required would be 140,000. This compares to the 152,500 Avios points required if the 8 segments were booked on a one-way basis and as such provides a saving of 12,500 Avios. BA Multi City – So How Many Avios to Fly Around the World? As we’ve seen above, you can use 140,000 points and £390 in taxes to redeem an Avios around-the-world ticket with a total of 9 stops! However if you want the security of being able to change or cancel your flights once you’ve commenced your journey then you may want to think twice unless of course there’s a significant Avios saving! So what are the positives of using the multi-carrier mileage chart when booking an Avios multi city holiday? Well in the instance above we saved only 12,500 Avios, however the savings can be significantly more on certain routes. We deliberately picked what we believed would be a worst-case scenario (i.e. a low number of Avios required for the distance flown) so when you’re booking yours there should be a greater saving than our example.